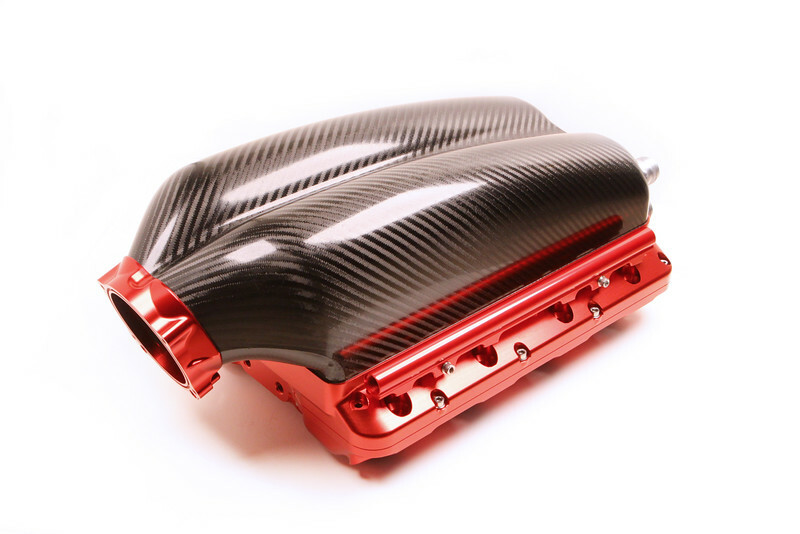 The Carbon TRic innovatively integrates an air-to-water intercooler into a beautiful carbon and billet intake manifold for improved packaging and performance for boosted applications. Shared with the Carbon TR, the uniquely sculpted plenum is constructed from high tensile strength carbon fiber in a high temp epoxy matrix with foam coring to increase the modulus of the structure. Bonded with high temp aerospace structural adhesive to precisely machined billet, the intake forms a clamshell housing a premium Bell Intercooler with custom end caps. Sized to support 1200 HP, the intercooler can optionally be configured for alternative power levels. The beautiful plenum and detailed billet will turn any engine bay into a stunning show piece that means business on the performance side. Your vehicle will be like no other and with customization options the Carbon TRic can help achieve the perfect build. The integrated intercooler allows for cleaner boosted engine plumbing and installation. A single forward facing throttle allows for easy integration and controls. The top and lower plenum can individually be reversed on the engine for various sensor, port and throttle orientations. Perfectly formed bellmouth entrances in the lower plenum shell enable improved flow development. Billet components can be anodized to the customer’s color choice or polished. The carbon top has 8-11 layers of pure carbon fiber along with foam coring and utilizes a beautiful symmetric V-twill top layer. All billet components machined in Southeast Michigan are combined with carbon molding and hand assembly in Troy, Michigan. 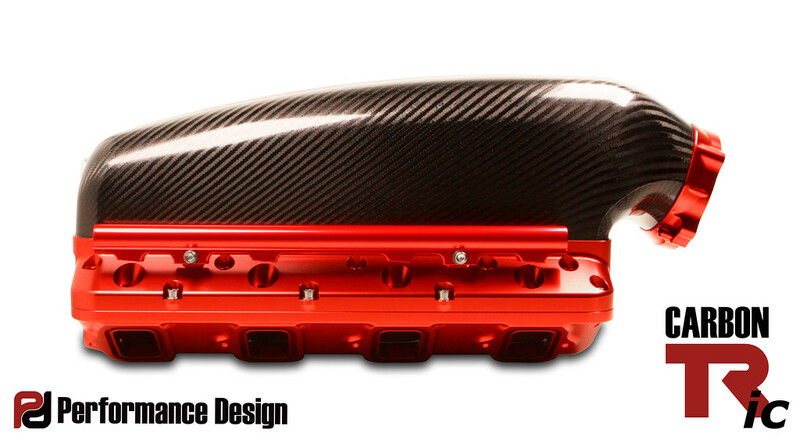 Carbon TRic intake manifolds are available in multiple port configurations and are built to order. Custom port and intercooler configurations are possible. Does not fit underhood on late model vehicles; best suited for resto-mod, off-road race trucks, race boats and hot rods. Performance Design was born out of a passion for creating world class performance products. 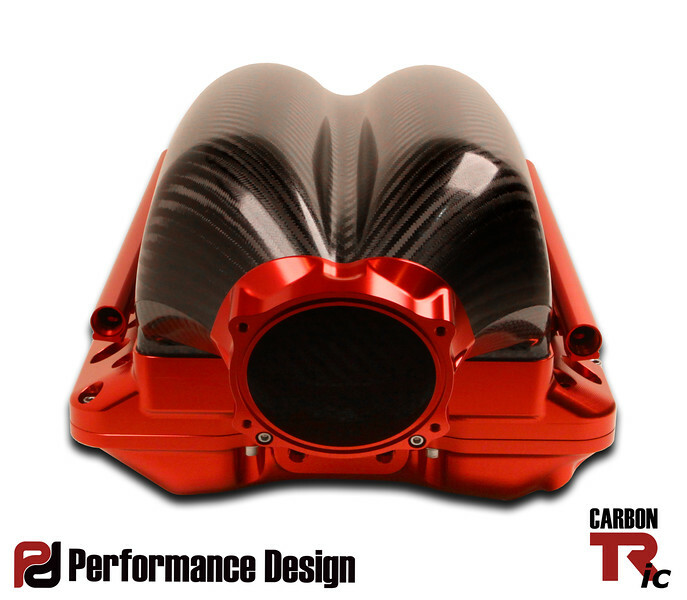 We design and manufacture our own line of performance induction systems from carbon fiber and billet materials. We have developed processes to mold carbon fiber components for our products in-house to support our meticulous hand assembly process. We create powerful, elegant and inspired products. We believe parts should offer a performance advantage. 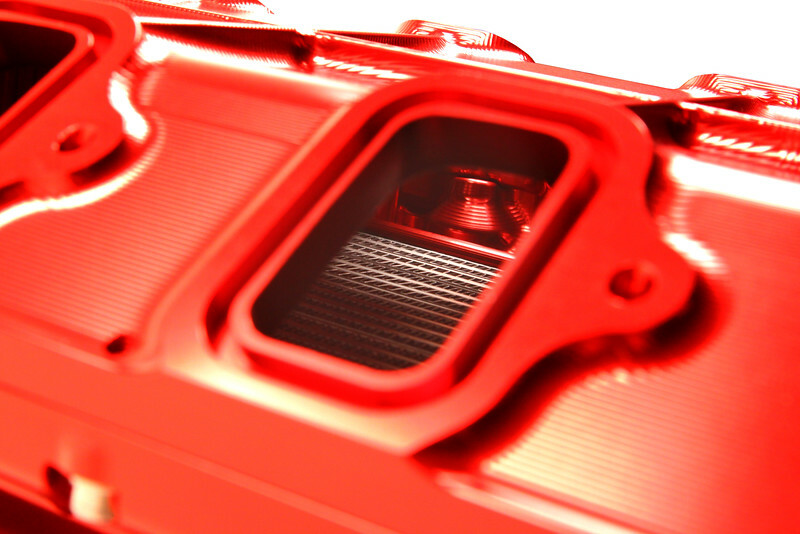 We believe parts should be beautiful on their own – no covers required. We believe form follows function. We believe hand-crafted and engineered are necessities. We believe the customer should be ecstatic with their purchase. Performance Design offers design services to companies that do not have the in-house capacity or expertise.